With Danger Girl meeting G.I. Joe and Star Trek meeting Dr Who, IDW Publishing are bringing together more people then your average mobile network, and giving them twice as much to talk about! Of all their August 2012 solicitations, these three take top cover honours. If only more artists got to draw in this 'wash' style! While Scarlett's good and all, I have to ask, whatever happened to interior pages star Lady Jaye? Growing up I thought she was the main G.I. Josephine? Doesn't matter. It's not like either could take the Baroness! 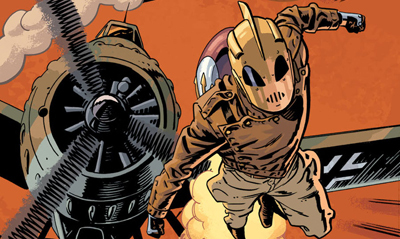 IDW says: It's the most dangerous event of the summer, and the action continues right here! Cobra's surprise attack has brought the G.I. Joe team to its knees. But when Lady Jaye learns that Flint has gone missing behind enemy lines, she joins forces with the Danger Girls on a covert mission that aims to rescue her man and get the Joes back on their feet! Transformers: More Than Meets The Eye #8 and Transformers: Robots In Disguise #8 - Alex Milne Who doesn't like a decent inter-locking cover set? 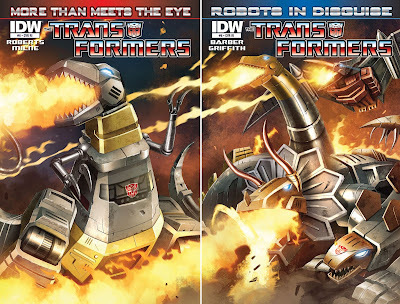 Make it the best Autobots this side of Prime, as part of IDW's Dinobot Month and forget it, it's pop culture gold. What do you think? Sound off below. For more from other publishers in August 2012 as they become available click here, or to find out the rest of IDW's August line-up, follow the jump! Isn't that Scarlett? Is she no longer a member of the Joes? Great cover. Yip and yip Craig. 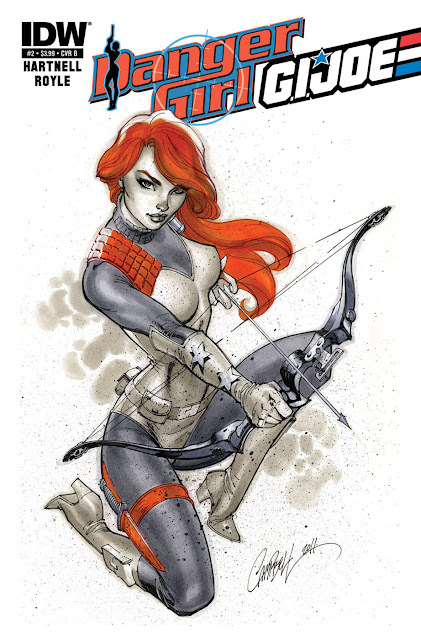 That sure is the Joes feisty female Scarlett, ready for action (who is not holding a bow and arrow these days?